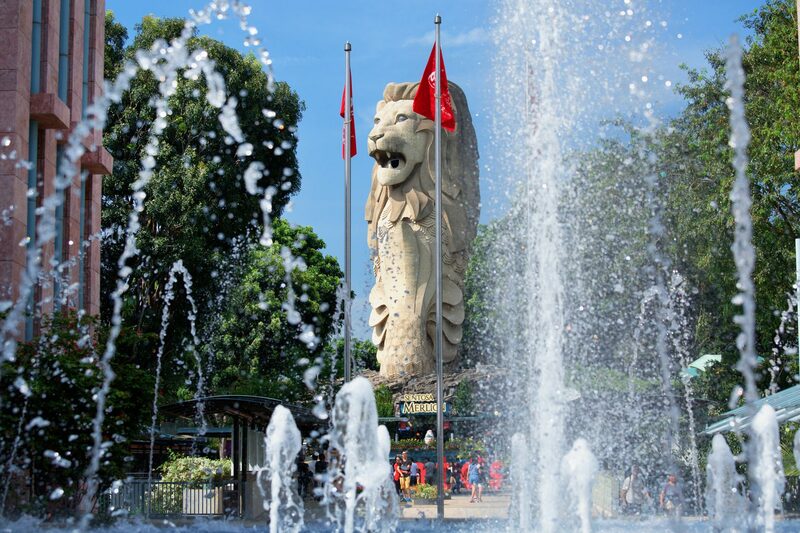 Join this 7 Day tour to Singapore where you will see all the must see sights, enjoy a Raffles High Tea, have breakfast at the zoo and you can do your Christmas Shopping! Splendid Singapore, a fabulous small group escorted tour of only 20 people maximum just for the solo traveller. • Botanic Gardens – explore the Singapore Botanic Gardens and National Orchid Garden. The Botanic Garden is a 156-year-old tropical garden located at the fringe of the Singapore’s main shopping belt and is one of three gardens, and the only tropical garden, to be honoured as a UNESCO World Heritage Site. • National Orchid Garden – located on the highest hill in the Singapore Botanic Gardens. Providing a place for 60,000 orchid plants – consisting of 1000 species and more than 2,000 hybrids – is the three hectares of carefully landscaped slopes. • Sentosa – an island resort off Singapore’s southern coast, connected to the city by road, cable car, pedestrian boardwalk and monorail. By Sentosa Station, Tiger Sky Tower has panoramic views that can stretch as far as Indonesia. On the south coast, Palawan Beach is lined with food stalls and bars. • SEA Aquarium – In Sentosa you’ll visit the South-East Asia Aquarium, a magical marine world with more than 100,000 underwater animals from 800 species, swimming in 45 million litres of water. The aquarium comprises 10 zones with 49 habitats. • Breakfast at Singapore Zoo – There’s no better way to start your visit at one of the world’s most beautiful zoos than having a Jungle Breakfast with the wildlife. Set in a rainforest environment, Singapore Zoo is home to over 2,800 animals from over 300 species of mammals, birds and reptiles. The park also boasts the world’s first free-ranging orangutan habitat in a zoo. After breakfast we will explore the park at a more relaxed pace on our guided tour tram ride. • High Tea Raffles Hotel – this world renowned hotel has been serving afternoon tea for over 100 years, you will be tempted by delicious sandwiches and treats, English tea or a glass of champagne. Afterwards you may like to take a stroll around the hotel or visit the Long Bar – home of the Singapore Sling. • Cable Car – the Singapore Cable Car provides a 360-degree panoramic view of the city’s best attractions, including the harbour, Sentosa Island, and the city skyline. 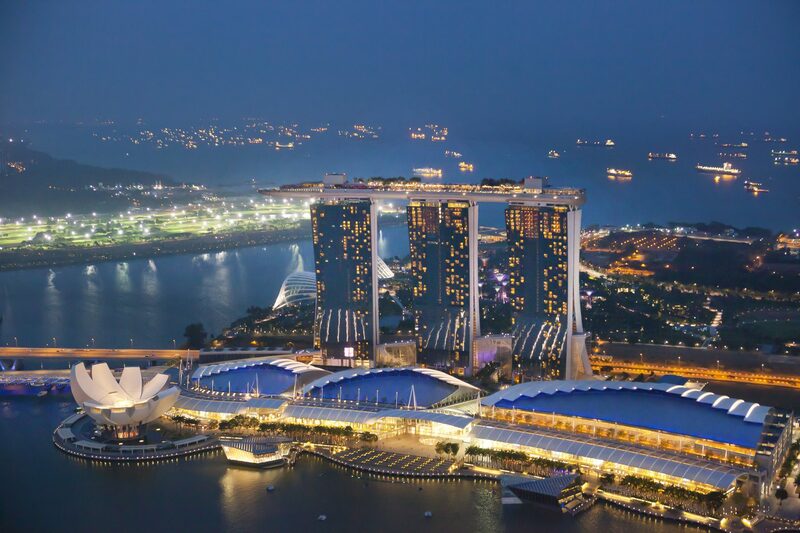 • Marina Bay Sands Skypark – the observation deck soars 57 levels above the heart of the city and you can take in the panoramic vistas of stunning Marina Bay, the architectural wonders of Supertree Grove, and the vibrant colours of Gardens by the Bay. 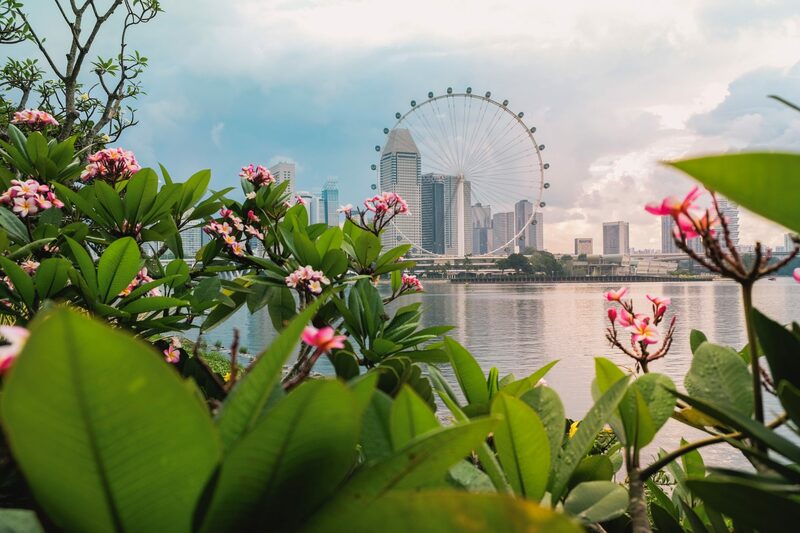 • Gardens by the Bay – with its breath-taking waterfront views this multi-award winning horticultural destination spans 101 hectares of reclaimed land, and is made up of two main areas – Bay South Garden and Bay East Garden. • Garden Rhapsody Light Show – After dinner on day 6 you will catch the sky show of choreographed lights and sounds at the Garden Rhapsody. This morning meet with your Tour Manager at Brisbane International Airport. Welcome to splendid Singapore. Just 719.7 square kilometres in size, Singapore packs a punch with a blend of elements that come together in unexpected symphony. From old-school buildings alongside modern architectural marvels, to street food served up side by side with internationally acclaimed gourmet fare, the city itself is a celebration of diversity. Singapore is constantly evolving, reinventing, and reimagining itself so if you’ve passed this way before you’ll still be for lots of surprises. On arrival at Changi Airport we will be met by our local guide and transfer to our hotel for the next 6 nights. Enjoy some time to freshen up before a welcome dinner this evening. After a leisurely breakfast this morning, today we will explore the Singapore Botanic Gardens and National Orchid Garden. The Botanic Garden is a 156-year-old tropical garden located at the fringe of the Singapore’s main shopping belt and is one of three gardens, and the only tropical garden, to be honoured as a UNESCO World Heritage Site. The National Orchid Garden is located on the highest hill in the Singapore Botanic Gardens. Providing a place for 60,000 orchid plants – consisting of 1000 species and more than 2,000 hybrids – is the three hectares of carefully landscaped slopes. Lunch today will be at a local restaurant. A leisurely start to the day today and then we will catch a cable car and fly high above the hill from Faber Peak to Sentosa. The Singapore Cable Car provides a 360-degree panoramic view of the city’s best attractions, including the harbour, Sentosa Island, and the city skyline. Sentosa is an island resort off Singapore’s southern coast, connected to the city by road, cable car, pedestrian boardwalk and monorail. 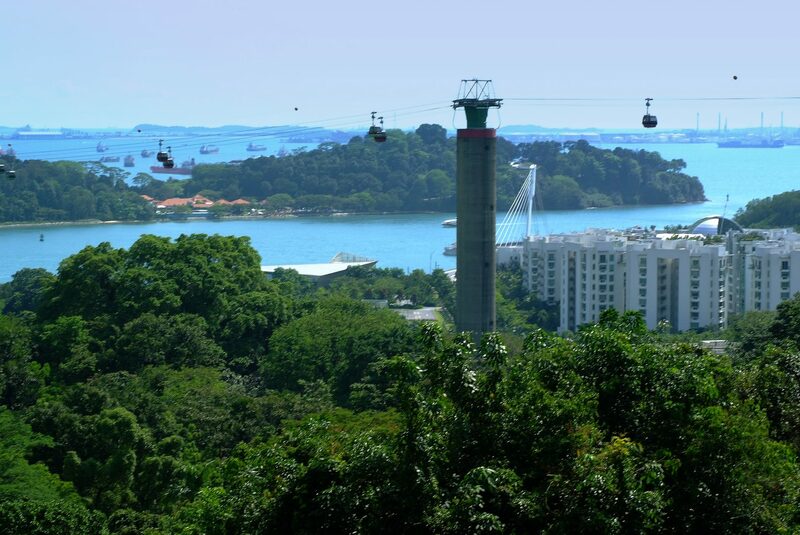 By Sentosa Station, Tiger Sky Tower has panoramic views that can stretch as far as Indonesia. On the south coast, Palawan Beach is lined with food stalls and bars. In Sentosa you’ll visit the South-East Asia Aquarium – a magical marine world with more than 100,000 underwater animals from 800 species, swimming in 45 million litres of water. Over 800 species, swimming in 45 million litres of water – the aquarium comprises 10 zones with 49 habitats. Dinner tonight will be at a Sentosa restaurant before returning to our hotel later this evening. There’s no better way to start your visit at one of the world’s most beautiful zoos than having a Jungle Breakfast with the wildlife. Set in a rainforest environment, Singapore Zoo is home to over 2,800 animals from over 300 species of mammals, birds and reptiles. The park also boasts the world’s first free-ranging orangutan habitat in a zoo. After breakfast we will explore the park at a more relaxed pace on our guided tour tram ride. This afternoon we’ll visit the iconic Raffles Hotel for afternoon tea. This world renowned hotel has been serving afternoon tea for over 100 years and this afternoon be tempted by delicious sandwiches and treats, English tea or a glass of champagne. Afterwards you may like to take a stroll around the hotel or visit the Long Bar – home of the Singapore Sling. Tonight we’ll have a light dinner at a local restaurant. Time this morning for some shopping for those who want to organize their Christmas gifts. If shopping was a sport then it would surely be classed as the national one of Singapore. This tiny island nation packs in more malls per square mile than any other country in the world. We’ll visit the famous Orchard Road – and the vast Bugis Street Market – a fun and friendly shopping experience not to be missed. 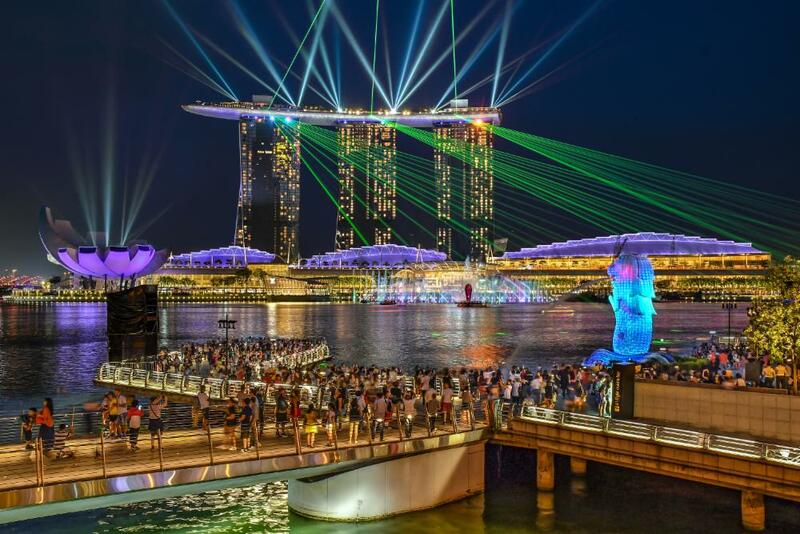 Later today we’ll visit Marina Bay Sands Skypark where the observation deck soars 57 levels above the heart of the city and you can take in the panoramic vistas of stunning Marina Bay, the architectural wonders of Supertree Grove, and the vibrant colours of Gardens by the Bay. From Marina South Pier all the way out to the Singapore Strait, get a bird’s eye view of the bustling shipping lanes that have built Singapore’s rich multicultural history. After dinner we’ll catch the outdoor light and water show along the promenade. A beautiful symphony of music, water and light that’s powered by advanced lasers, fountain jets and visual projectors paired with an inspiring orchestral soundtrack and special lighting effects. The morning is at leisure today and after lunch we will head off to Gardens by the Bay with its breath-taking waterfront views. This multi-award winning horticultural destination spans 101 hectares of reclaimed land, and is made up of two main areas – Bay South Garden and Bay East Garden. Bay South Garden is the largest of the gardens and you can’t miss the massive Supertrees here. These tree-shaped vertical gardens are between 9 to 16 stories tall. Walk on the suspended walkway between two Supertrees to enjoy a bird’s eye view of the gardens. After dinner tonight we’ll catch the sky show of choreographed lights and sounds at the Garden Rhapsody. Today we say farewell to Singapore as we head to Changi Airport for our homeward flights.